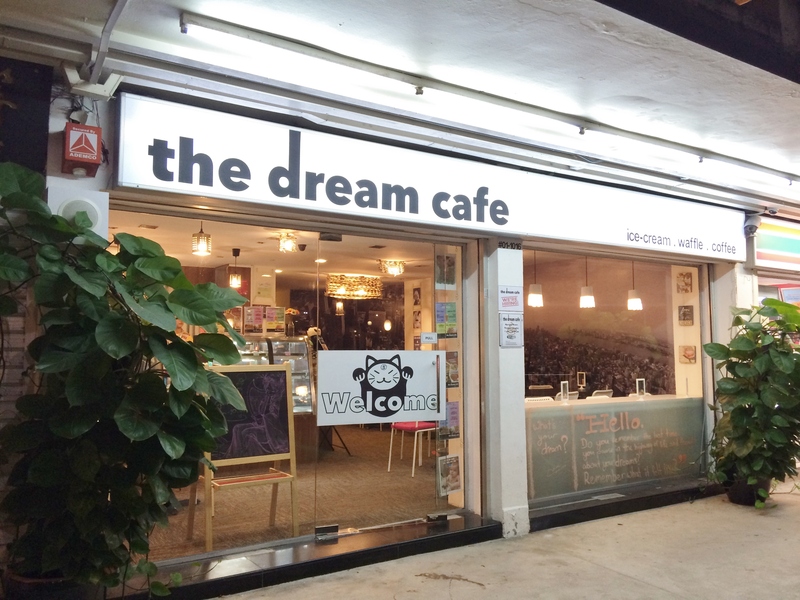 22/7/2014 – Amidst the rising amount of cafes that are opening in Toa Payoh, The Dream Cafe quietly opened last year. 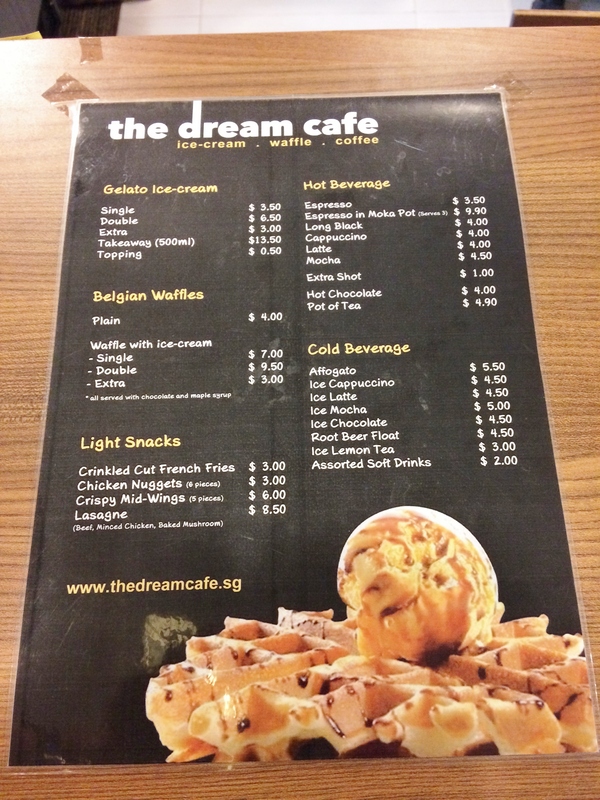 The menu here consist of ice cream, waffles, hot and cold beverages such as coffee and tea, and light snacks. 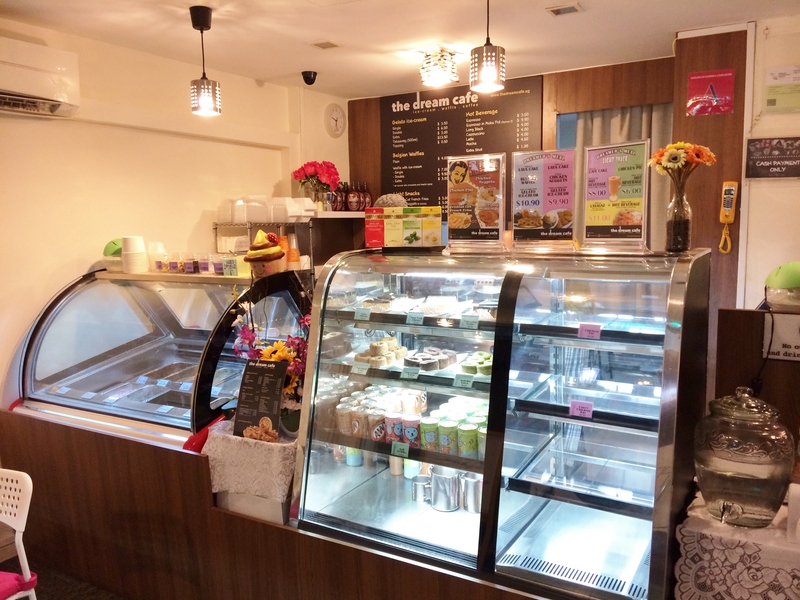 Do not miss out on the Belgian Waffles here! 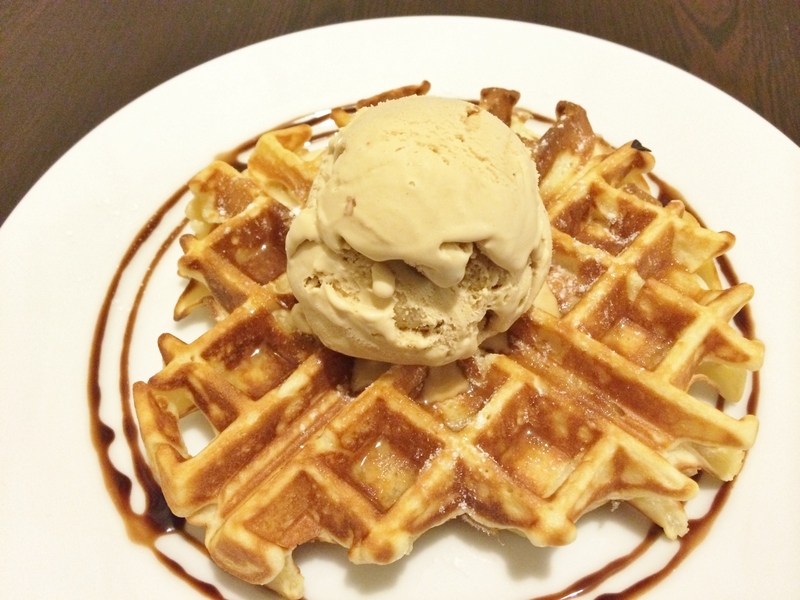 The Belgian Waffles with Salted Caramel Almond ($7; waffles + 1 scoop of your choice) is a great choice as the waffles had the right amount of crisp to match with the softness of the waffles, though the batter was a bit dense for a Belgian Waffle. The Salted Caramel Almond ice cream is sweet with a distinct almond taste. 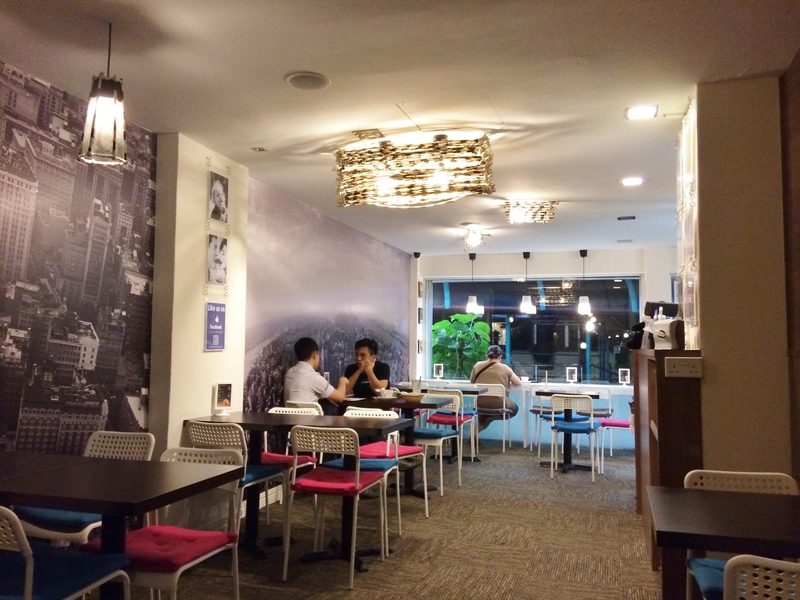 Being in a quiet part of Toa Payoh despite its proximity to the central hub, this place does serve as a great place for people who wants a quiet environment to enjoy their desserts or drinks or to study (as it opens until late).